"The hosts' last two games at Old Trafford have produced a 1-1 v Wolves and a goalless draw against Valencia while Newcastle's three away matches in the top flight show a pair of 0-0 draws and a 2-1 loss at Man City." Just 10 points from their opening seven Premier League games leaves Manchester United in 10th place. That's bad enough on its own but if you like a historical comparison, it represents their worst start to the season since 1989/90 (seven points from 10). A home record of won one, drawn one, lost one along with a minus goal difference adds another miserable slant and it gets even worse when adding in Cup games. The home fans saw their side bundled out of the Carabao Cup by Championship side Derby and then play out a 0-0 bore-draw with Valencia in the Champions League on Tuesday night. It means United's only home win this season was the somewhat fortunate 2-1 success over Leicester on opening day. These are troubled times for Jose Mourinho. And over in the north east there's another United struggling badly. The Magpies are languishing third bottom with just two points from their seven games. The mitigating factor to a certain extent has been the tough fixture list which has seen Newcastle play - and lose to - Spurs, Chelsea, Man City and Arsenal. That said, they've also dropped seven points in games against Cardiff, Crystal Palace and Leicester. These are the types of matches where points save you from relegation. The debate is whether Rafa Benitez's negative tactics are hindering rather than helping. Yes, they've limited the damage against big teams and their goal difference (-6) is much better than the sides they share two points with (Cardiff -12 and Huddersfield -13). But are they really giving themselves chances to win matches with this try not to lose mindset? Then again, is Rafa just fatally hamstrung by a what is basically a Championship side trying to swim in an ocean, too deep for them? Mourinho has won all seven of his home matches against Newcastle with an aggregate 18-1 scoreline but perhaps historical stats like that don't mean anything these days. In which case, it's not really fair to use Benitez's six wins in nine games against Man Utd - especially as he built most of that record with Liverpool and Chelsea. The here and now is that we have a Man Utd side completely out of sorts taking on a Newcastle side which doesn't know where their next point is coming from. Man Utd are [1.48] for the win, with Newcastle  and The Draw [4.6]. The Red Devils have lost just one of their last 36 matches against the Magpies (W26, D9) so it's very hard to see this particular Newcastle outfit can suddenly re-writing the record books. But it's not beyond the realms to see Rafa nicking a 0-0 or even a 1-1 if his men carry out the tactics the way he wants them. I just about see Man Utd falling over the line so 1-0 could be a decent option at . I'm surprised to see so little discrepancy in the Unders/Overs quotes. Under 2.5 goals is [1.99] and that looks a must for me given how Man Utd are misfiring and Newcastle not firing at all. 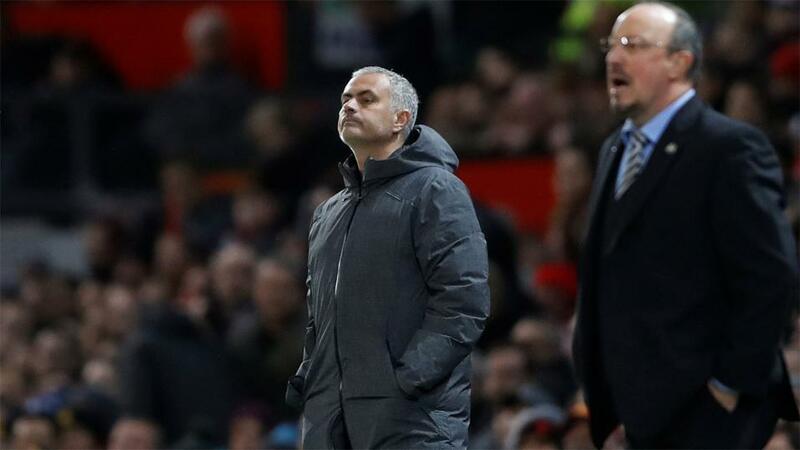 The hosts' last two games at Old Trafford have produced a 1-1 v Wolves and that goalless draw against Valencia while Newcastle's three away matches in the top flight show a pair of 0-0 draws and a 2-1 loss at Man City. If they keep the score down at the Etihad, there's a great chance they can restrict it even further against a struggling Manchester United side. As I'm predicting a lack of goals, the scorer markets aren't really of great interest. But for those interested, Romelu Lukaku has some good numbers against Newcastle. He scored in this fixture last year and has six in 10 Premier League games against Saturday's opposition. He's gone five without a goal though and not scored at Old Trafford this season so the Evens (Sportsbook) isn't for me. Beyond that, nothing jumps out although penalty-taking Paul Pogba has four in 11 and bagged one at home to Newcastle last season so could appeal anytime at 12/5. Looking at the Same Game Multi, it's 4.09 that Pogba scores in a home win while Lukaka to net in a Man Utd victory is 2.48.